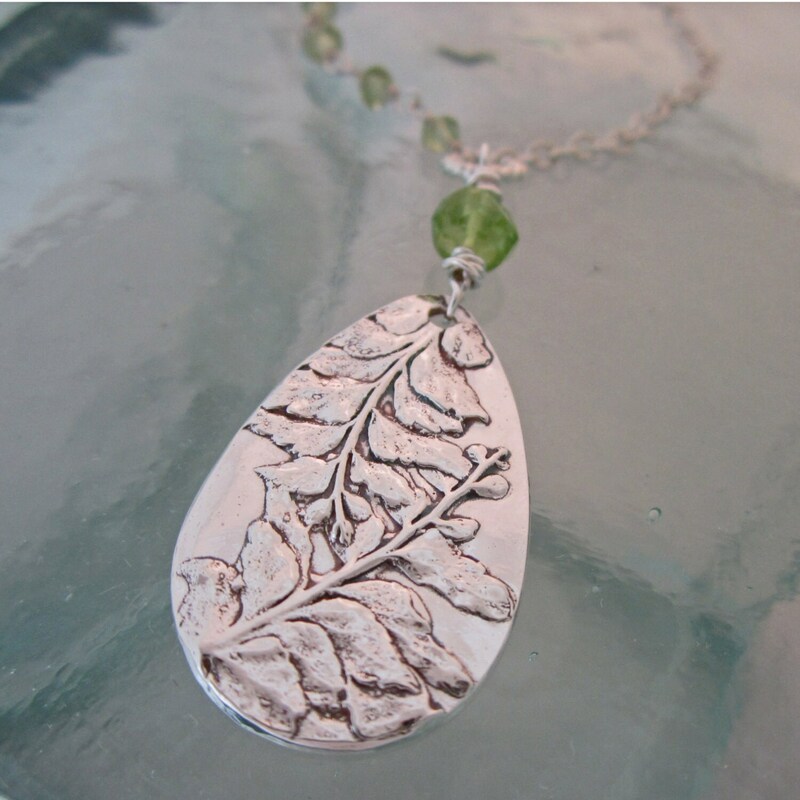 This artisan necklace features my .999 fine silver pendant of two natural ferns. The pendant is teardrop in shape and measures approx 11/16" x 1 1/16" at its widest points. The pendant has a patina finish to enhance the detailing of the delicate ferns, and is polished to a warm shine. The fern pendant fixed on the necklace (does not slide), and drops from a twisted sterling ring with a wire wrapped faceted peridot attaching it. 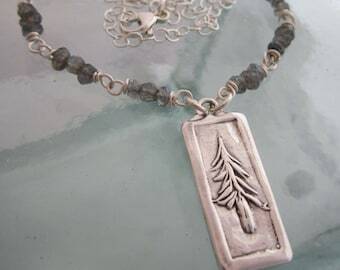 The necklace has a portion of small wrapped peridot next to the pendant on one side before transitioning with another twisted ring to a small textured link chain (Sterling). The other side is chain. The necklace is approx 16", with the pendant dropping approx 1 1/2" below that. If you would prefer a different length chain or other adjustments, please contact me to discuss your options.